Let us see. You have the god mood, you have tracked down all of your favorite recipes but you’re missing something. The equipment. The thing is, no matter your good will and your talent, you cannot prepare a proper crème brulee without the essential tools. 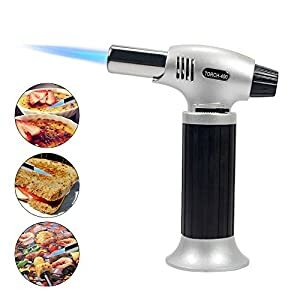 Yeah, you got it- we’re talking about that thing that looks like a big lighter, culinary torch they call it. 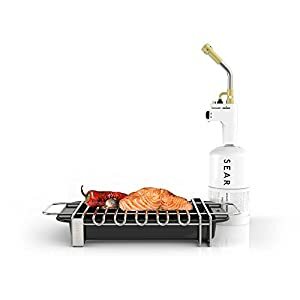 And there’s were our company comes in- it’s going to provide you with a one-of-a-kind kitchen torch that is going to take your cooking skills to the next level. 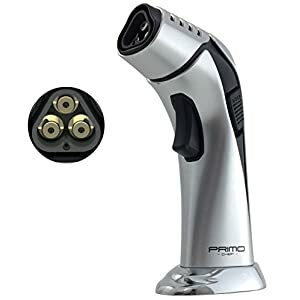 Prepare delicious steaks, roasted vegetables, fried croutons, or delicious crème brulee with just one tool- get it now without thinking about it too much! 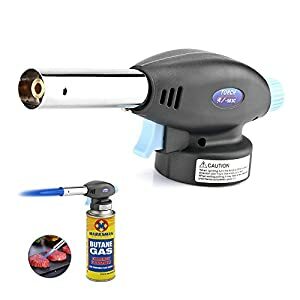 OK, you like the overall idea, but that big flame seems too dangerous for you. You don’t have to worry. We reassure you that this big flame is never going to come in touch with your hands. 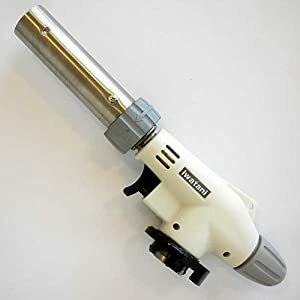 Thanks to the long flame guard and the safety lock provided, you’ll never feel a thing- all you need to do is switch the safety lock on, press the quick fire ignition button and you’ll be ready to go! You’re still thinking about it… A perfume or clothes would be a great idea, but for a cooking enthusiast… you may need to find something better than that. 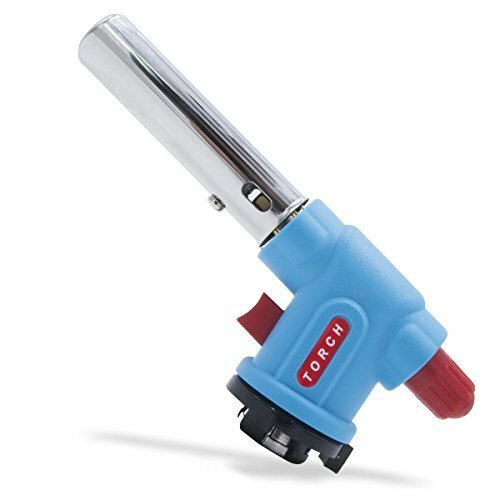 We have the greatest gift idea- this unique, kitchen torch! Offer it with pride and put a smile your friend’s face- what else you need? Do It Like A Chef. 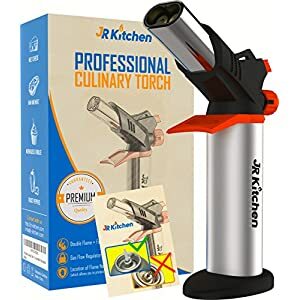 Order Your Culinary Torch Today. ✅DO IT LIKE A CHEF: Are you getting jealous each time you’re watching a TV show that shows how to prepare perfect crème brulee, roasted croutons, fried vegetables and so on? 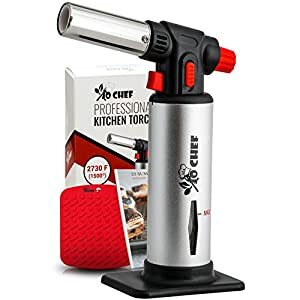 Remember that magical tool chef are using, that looks like a big lighter? Well, now are given the chance to get it as well! Do it like a professional, and prepare the most amazing recipes- yes, your dream has now become a reality! 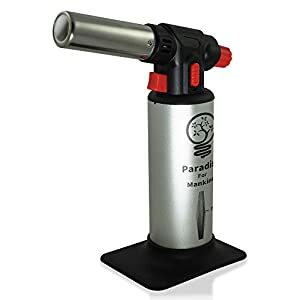 ✅KEEP YOUR HANDS SAFE & SOUND: Are you afraid that the flame produced by this culinary torch is going to burn your hands? Well, there’s no reason to. 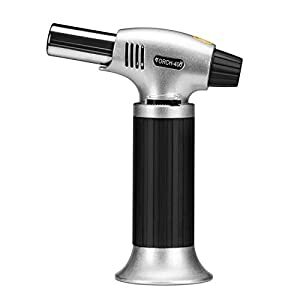 Thanks to the heat resistant flame guard and the safety lock with anti-flare technology you can feel safe every time you’ll use this one-of-a-kind product; much more safer than a simple lighter- we guarantee that you’re hands will remain safe no matter what! 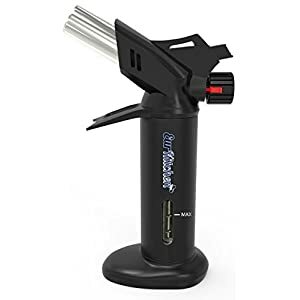 ✅NEVER STAYS OUT OF SERVICE: Exactly- refill the torch with butane whenever you think it’s necessary. Some of you may wonder how you’ll understand when it’s the right time to do it. Don’t worry- our ergonomically designed torch features a fuel gauge window, that allows you to check the level of butane, so as to refill whenever the proper time comes. Save 5% with this coupon. Enter code CASELING at checkout.